You've only got one life. Take great care of it. We are able to accommodate the busiest schedule. Call and make your appointment today! Our client forms are available online so they can be completed at your convenience. Call us today at (214) 838-3660. New Outlook Counseling and Wellness Center is a comprehensive counseling center focused on healing the mind as well as the body. As such our focus is on identifying and addressing a variety of relationship, and mental health concerns. Please give us a call. We look forward to answering your questions, learning more about you, and working together to reach your greatest potential. "Dr.J helped me to understand things about myself that were way beyond the reasons I was there for. He is like a big brother easy to talk to and made me comfortable enough to talk about whatever.... Keeps candy on the desk and and a bomb espresso machine"
"I love Mr. Jones. He is really helping me focus and find my way. I'm also overcoming issues that I never thought that I would ever be able to overcome. Thank you sir!!!!" 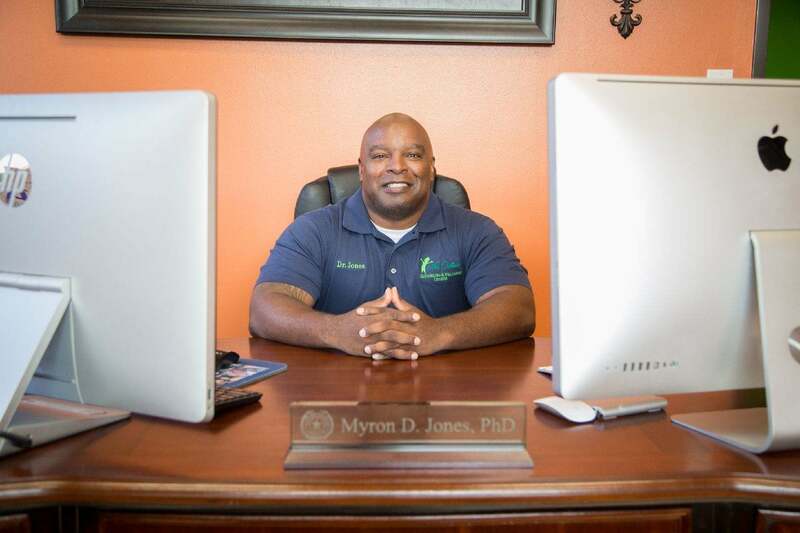 Myron Jones is a Licensed Professional Counselor, a Licensed Chemical Dependency Counselor, and a board approved supervisor. He received his Ph.D. in counselor education and supervision from Texas A&M University-Commerce and is the former president of Chi Sigma Iota, an internationally recognized professional counseling honor society. Alaina Mount is a Licensed Professional Counselor-Intern under the Supervision of Myron Jones LPC-S. She attended The University of Memphis earning a Bachelor of Liberal Studies in Behavioral Science and Education and a Master of Science in Counseling.